Dr. Jim Norman driver on the Napleton Racing team driving #16 Porsche Cayman and winner of GX class 24 Hours of Daytona a few weekends ago (January 27th), relayed a story of his race prize, a stainless Rolex Daytona being fitted at his local jewelers. 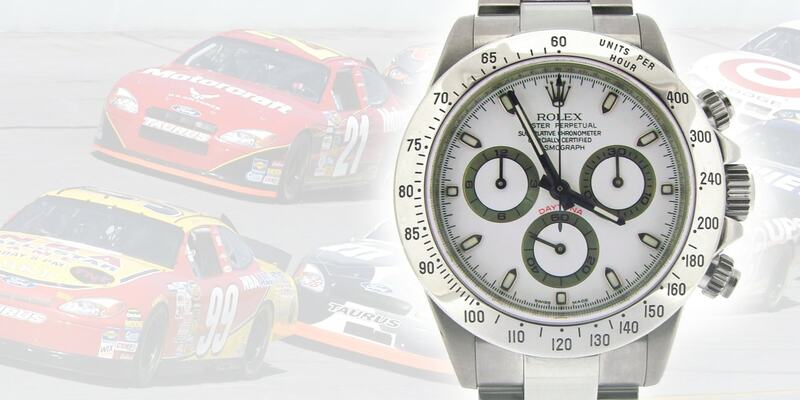 Winners of the Rolex 24 Hours of Daytona are customarily awarded a Rolex Daytona chronograph, the watch designed and named after the famed automotive racetrack. According to Norman, he took his new race prize down to his local Tampa jewelers to have a link removed so that he can wear his race prize with pride. The dialogue between he and the jeweler is told by Norman here and here. The story has one flaw in that Norman states that he was awarded his Daytona race prize by Allen Brill, President of Rolex USA. Unfortunately, Allen Brill died of a lung cancer in 2010, and was succeeded by Stewart Wicht. Despite this storytelling flaw, this story brings up a couple points regarding self-professed Rolex experts and dealers. Lastly, if anyone ever calls your genuine Rolex a fake, ask them how they know and how they make that conclusion. There are many obvious tell tale signs of Rolex knock-offs, but none of them are found on a genuine Rolex watch. *With proper tools includes the correct size screwdriver and a little training to recognize what a proper fitting screwdriver looks like. There are stories of jewelry stores botching bracelet adjustments mostly because of ill-fitting tools and untrained personnel who do not recognize correct tools.